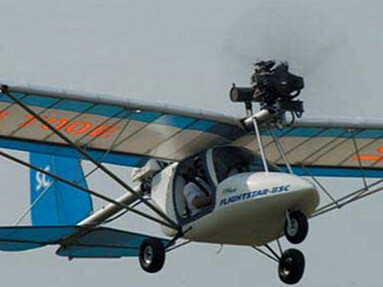 The Spyder is a single seat Ultralight aircraft. The clean light weight airframe allows maximum performance on minimum installed power. 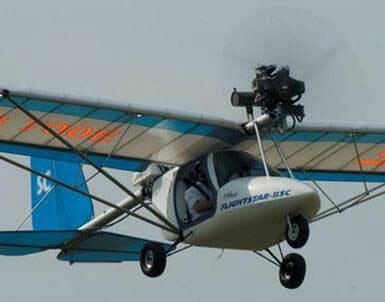 The Spyder was designed to accept the Rotax 447 and 503 engines on Flightstarâ”œÃ³â”¬Ã‡â”¬Ã–s dynafocal type engine mount. The front fairing and windshield come as standard equipment on the Spyder. The Spyder features conventional three axis controls with full span ailerons, steerable nose wheel and side mounted control stick. The standard fuel tank has a 5 gallon capacity with a 10 gallon capacity tank as an option. Equipped with the Flightstar wingfold system, the Spyder is easy to assemble and easy to care for. If you want the freedom of open cockpit Ultralight flying, the Spyder is for you!